Weekend courses teaching oral appliance therapy are conducted all over the country and with over 100 commercially available oral appliances it can be really difficult to navigate the appliance selection process. Considering the mechanical functioning of the appliance is essential when determining which one to choose for treatment, but often times the material used to construct the appliance is equally as important and overlooked. Two of the most generally known materials are heat-cured hard acrylic and dual laminates. Studies have shown that while there are advantages and disadvantages to each material, most doctors favor heat-cured hard acrylic appliances because they have a compelling superiority over the latter when it comes to fitting, repairs, longevity and patient comfort. 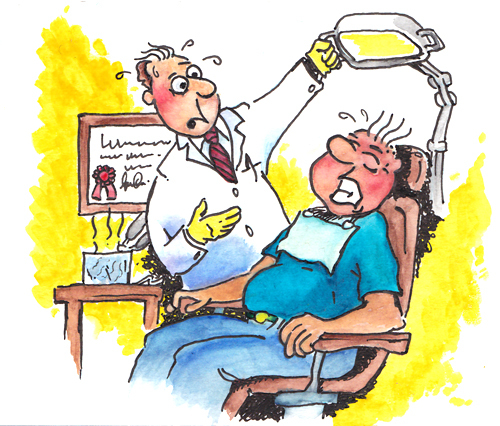 Some of the most pressing issues in doctors’ offices are fitting the appliance correctly in the patient’s mouth. 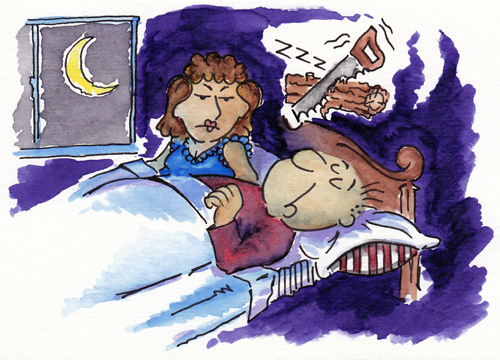 Obstructive sleep apnea is a serious medical condition that can sometimes be so severe that doctors don’t have time to send back an appliance to be remade if it doesn’t fit. National statistics show a lower percentage of remakes in hard acrylic formed appliances. The reason for this can partly be credited to ease of modification chairside due to minor cosmetic dental changes. If anything changes in the patient’s mouth for example, the addition of a crown, a completely new appliance must be created as realignment can’t be done in laminate appliances. On a hard acrylic appliance, the appliance can sometimes be ground to re-fit. Furthermore, the addition of clasps in hard acrylic appliances provide further retention whereas a laminate appliance does not allow for it to contain clasps. 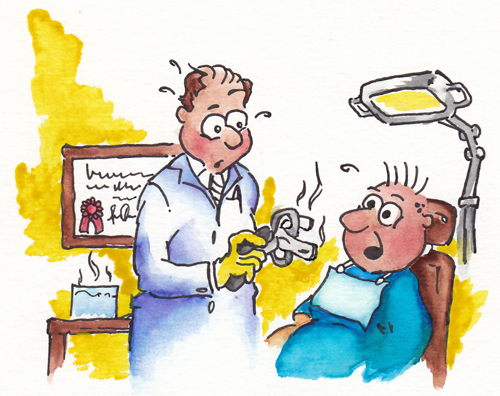 Repairs are inevitable when it comes to oral appliances. Fortunately when repairs are necessary, the ramifications can be minimized simply by the choice of appliance design. Doctors can take a more basic approach to repairing hard acrylic appliances including, but not limited to, effortlessly bonding new acrylic to cracks or chips in their own. Mending a laminate appliance can become more complicated when considering the soft liner located on the inside. Many times that same soft layer has been shown to absorb moisture and start to yellow with bacteria. Unfortunately this is not a matter of repair, rather a matter of replacement. Gergen’s Orthodontic Lab, which is the largest manufacturer of the Sleep Herbst in the country, has seen hard acrylic appliances last over to 20 years. Regrettably, the soft layer in laminate appliances always eventually loses the bond to the hard layer- meaning it will always peel apart over time, leading to the doctor sending it back to the manufacturing lab to be rebuilt. 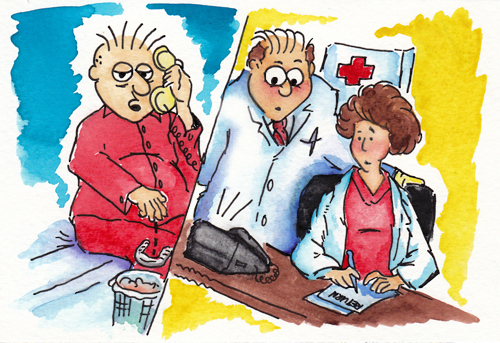 Typically patient comfort is one of the cornerstones of the decision making process in choosing treatments. While each of the designs have equal amounts of pros and cons to patient satisfaction, time and time again there have been proven patterns and methods that demonstrate it is easier to overcome the cons associated with treatment via hard acrylic appliances. This is contrary to general belief being that dual laminates are more comfortable. Moreover, tongue space is greatly reduced in dual laminate appliances due to the extra layer being present. All things considered, both hard acrylic and dual laminate appliances grant favorable benefits in many cases. Clearly though when taking into account the comparison of both designs regarding fitting, repairs, longevity and patient comfort the preferred choice when selecting one of the two is the hard acrylic design more often than not. Ahrens A, McGrath C, Hägg U. Discipline of Dental Public Health. Oral appliances (OAs) are increasingly advocated as a treatment option for obstructive sleep apnoea (OSA). However, it is unclear how their different design features influence treatment efficacy. The aim of this research was to systematically review the evidence on the efficacy of different OAs on polysomnographic indices of OSA. A MeSH and text word search were developed for Medline, Embase, Cinahl, and the Cochrane library. The initial search identified 1475 references, of which 116 related to studies comparing OAs with control appliances. Among those, 14 were randomized controlled trials (RCTs), which formed the basis of this review. The type of OA investigated in these trials was mandibular advancement devices (MADs), which were compared with either inactive appliances (six studies) or other types of MADs with different design features. Compared with inactive appliances, all MADs improved polysomnographic indices, suggesting that mandibular advancement is a crucial design feature of OA therapy for OSA. The evidence shows that there is no one MAD design that most effectively improves polysomnographic indices, but that efficacy depends on a number of factors including severity of OSA, materials and method of fabrication, type of MAD (monobloc/twin block), and the degree of protrusion (sagittal and vertical). These findings highlight the absence of a universal definition of treatment success. Future trials of MAD designs need to be assessed according to agreed success criteria in order to guide clinical practice as to which design of OAs may be the most effective in the treatment of OSA. Eur J Orthod. 2011 Jan 13. Discipline of Dental Public Health, Faculty of Dentistry, University of Hong Kong, Hong Kong SAR. The purpose of this study was to review available evidence on the efficacy of various oral appliances on subjectively perceived symptoms of obstructive sleep apnea syndrome. A search of 4 databases was carried out. Articles were initially selected based on their titles or abstracts. Full articles were then retrieved and further scrutinized according to predetermined criteria. Reference lists of selected articles were searched for any missed publications. The finally selected articles were methodologically evaluated. Of an initial 1475 references, 14 studies were randomized controlled trials, which formed the basis of this review. Mandibular advancement devices (MADs) were compared with either inactive appliances (6 studies) or MADs with different design features (8 studies). 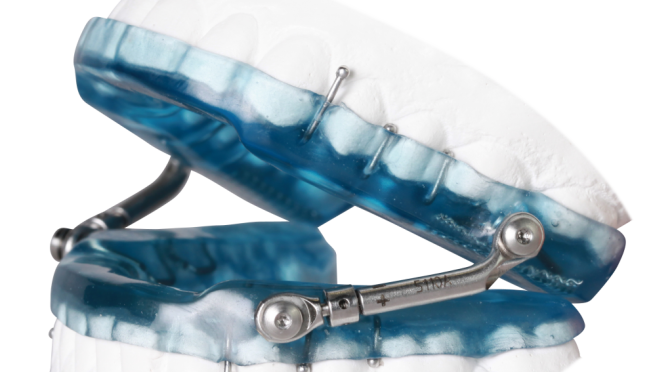 In comparison with inactive appliances, the majority of studies showed improved subjective outcomes with MADs, suggesting that mandibular advancement is a crucial design feature of oral appliance therapy for obstructive sleep apnea syndrome. There is no 1 MAD design that most effectively influences subjectively perceived treatment efficacy, but efficacy depends on many factors including materials and method used for fabrication, type of MAD (monoblock or Twin-block), and the degree of protrusion (sagittal and vertical). This review highlights the absence of universally agreed subjective assessment tools and health-related quality of life outcomes in the literature today. Future trials of MAD designs need to assess subjective efficacy with agreed standardized tools and health-related quality of life measures to guide clinical practicitioners about which design might be most effective in the treatment of obstructive sleep apnea syndrome with oral appliances. Am J Orthod Dentofacial Orthop. 2010 Nov;138(5):559-76. Searching for the right appliance… ouch!!! The post Unmasking Behavioral Issues in Young Children – The Real Issue May be Sleep Problems appeared first on Sleep Diagnosis and Therapy.